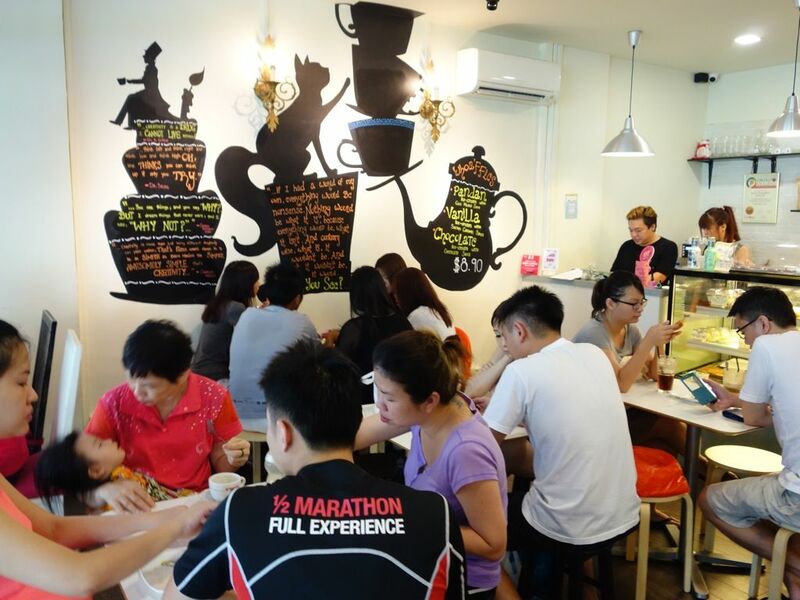 I've visited Hatter Street months ago but wasn't compelled to write them a review since they are already so packed and the crowd also played a part in my lacklustre dining experience with them. Despite the whimsical theme, the space was uncomfortable. I think their main purpose is to pack as many people in as possible so it was rather cramped. Also, you have to wait for a table before you can place your order, even though everyone knows that there is going to be a long wait time for the waffles. Do i make sense? Ok maybe i was just (H)angry (hunger induced anger) and i wanted my food fast but that did not happen. So what's to eat here? Desserts, just desserts. 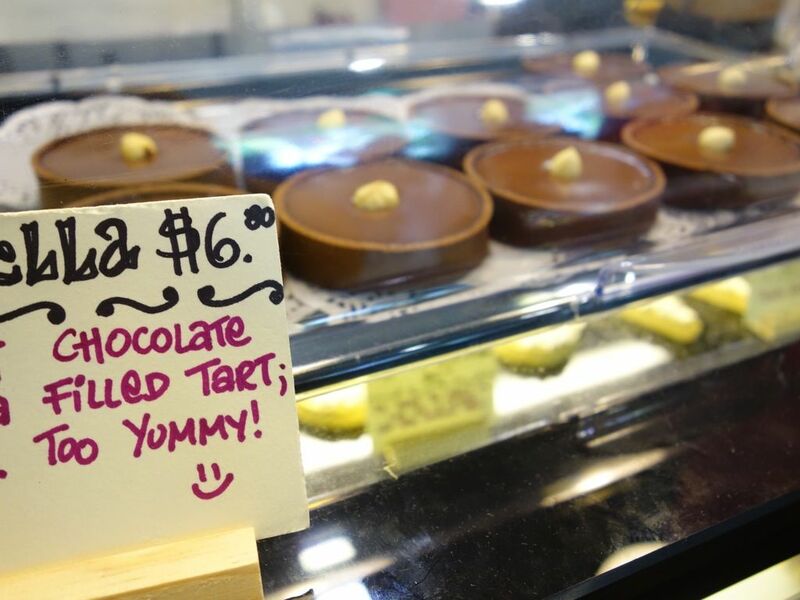 Yvette Chua, who owns the place, trained at Singapore’s Culinary Institute of America and apprenticed at Hong Kong’s 3 Michelin-starred Bo Innovations for four months and she decided that desserts are gonna be it. Well, there's the famed Smoked sawdust pudding ($5) which is essentially a milk pudding with graham and some smoke. Well, i don't fancy the schmancy for desserts. I just want hearty calorie full options. Next. Other items such as some passion fruit and chocolate tarts, popcorn cake etc. But honestly, let's face it, you're just there for the waffles. Waffles ($8.90). We went for the Pandan ice cream with gula melaka sauce which is a hot favorite. The waffle was crispy, and by crispy i meant it was like a giant potato chip. As with potato chips, once you start you can't stop so don't bother sharing because you can easily finish one on your own. Nice lingering aroma from the pandan ice cream but we could do with more gula melaka sauce. 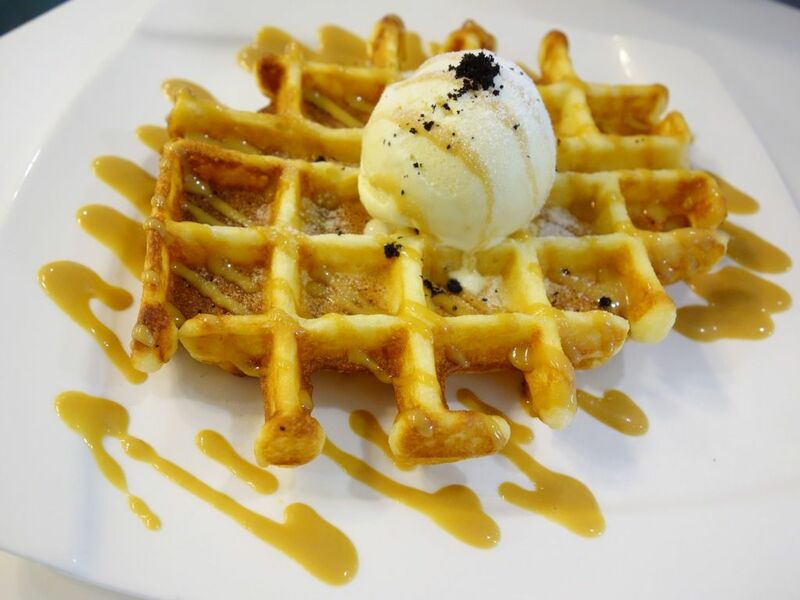 I reckon that the sea salt caramel waffle with vanilla ice cream wouldn't be too shady. 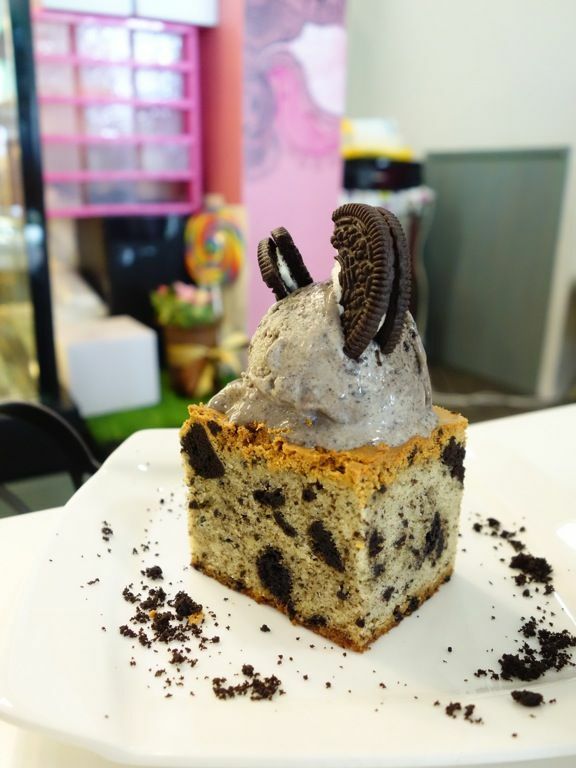 Oh my 天 ($7.50) is a cookies and cream brownie with oreo ice cream and it came recommended. I should have trusted my own judgment because i thought the brownie was too tall and dry based on its appearance. I was right. The texture was a bit more cakey but with greater density but it was lacking in flavors (it had a one dimensional sweetness). I would not recommend this. The oreo ice cream was good though. 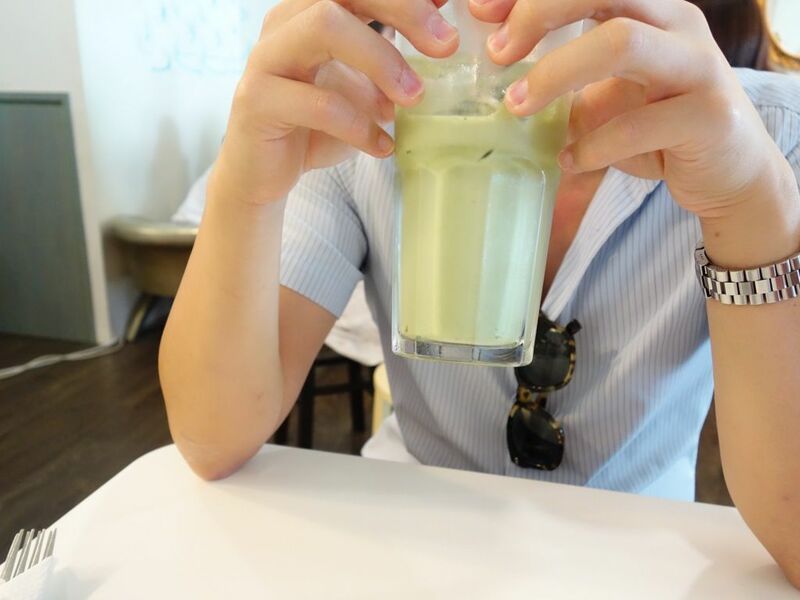 The Matcha latte ($5.50) was rather sweet and very milky. Thankfully it had sufficient matcha taste. I would love to be able to make this my regular dessert joint in the hood because the waffles are quite wow but i would never visit on weekends. The staff's mild hao lian beng attitude was also a put off. Moral of the story, do not stand between an hangry girl and her food.